Well, I could give a bunch of excuses about why I haven’t been posting lately, but I think I’ll save that post for another day. It’ll be really short and reallying boring. Something along the lines of I’ve been busy, lazy, etc. But let’s worry about that tomorrow, shall we? 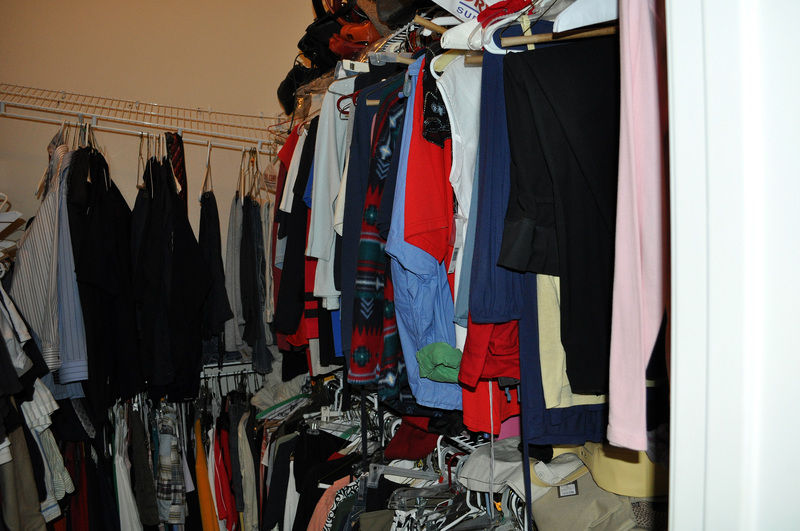 Today let’s check out the rest of the closet remodel. 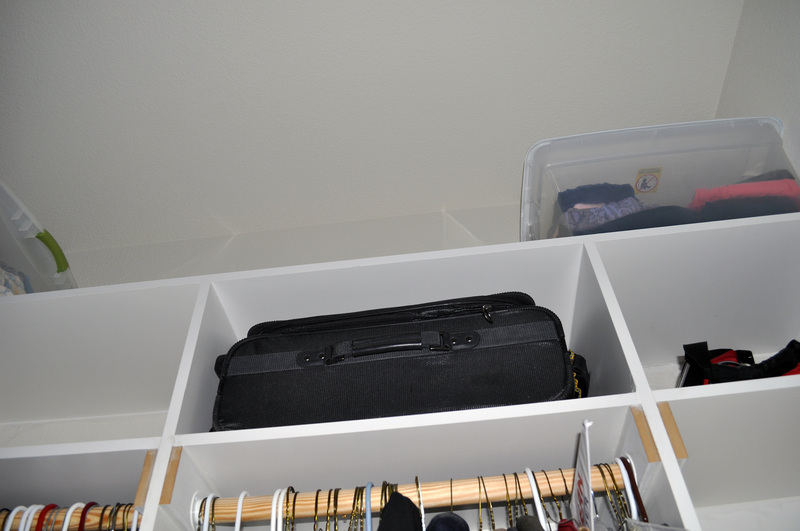 It has storage spacing way up high. Enough for suitcases and storage bins of maternity and baby clothes. 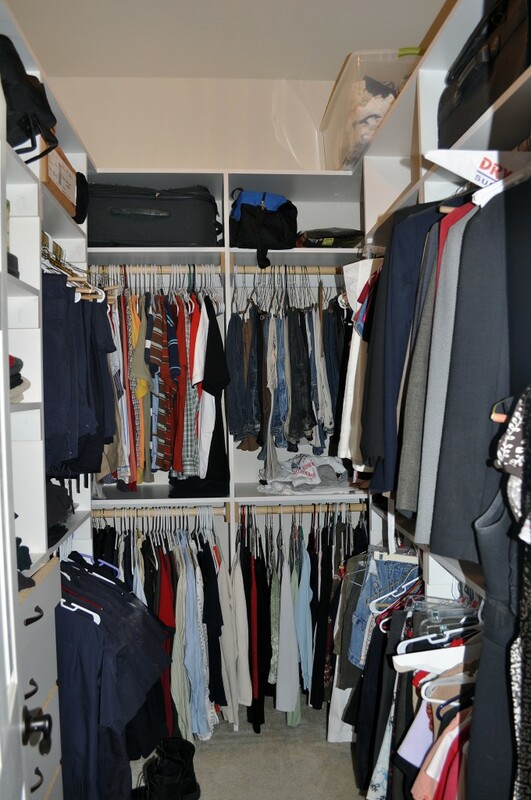 It has drawers for handy things such as belts and ties. And bigger drawers towards the bottom for shorts. It haves a myriad of shelves made just for shoes. 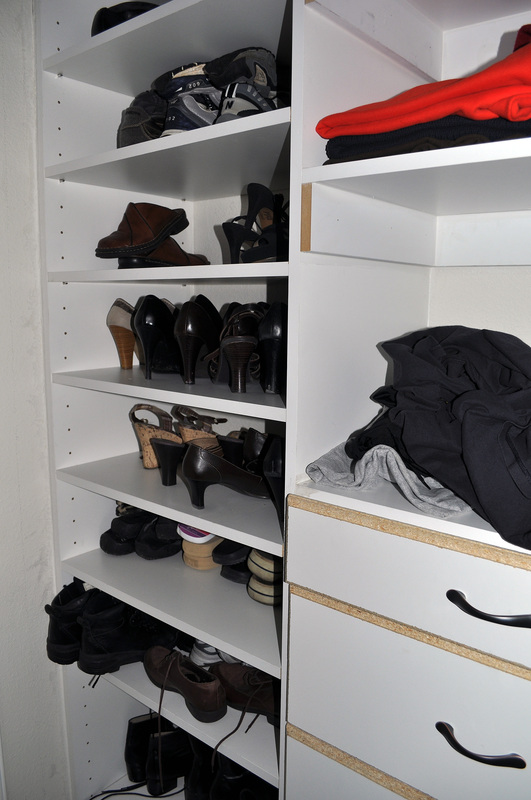 As you can tell, Hottie’s taking up some of my shoe room, so I may have to move his shoes to another bedroom closet. Shhh…don’t tell him. He’ll figure it out when he can’t find his shoes. 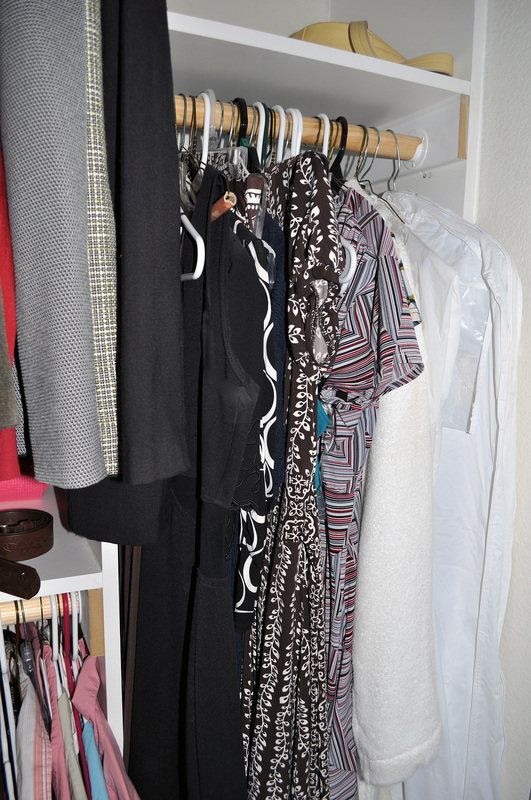 It has a space made just for my long dresses. Notice the big white plastic bag on the far right? That’s my wedding dress. Hottie has managed to resist peaking. I don’t know how he does it. I would’ve looked under there the first chance I got. And there it is – a full shot of the wonderful shelving that Hottie made. Everything in its place, a place for everything. This entry was posted in Hottie.